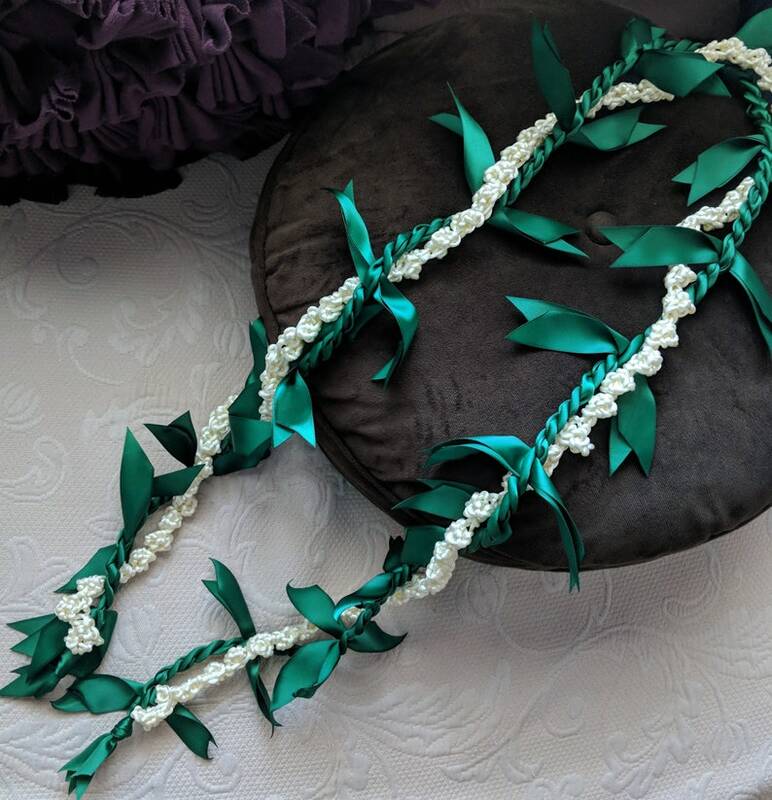 The Ti leaf lei is created with double sided Satin ribbon in Forest Green. Ti Leaf points are cut to approximately 4" in length and heat sealed to prevent fraying. 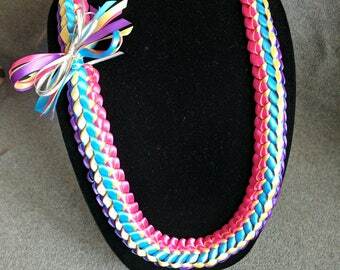 Rosebuds are created with rattail cord in ivory as a default or choose your rattail cord color. If the color you want is not listed, message me to see if I can get the color of your choosing. 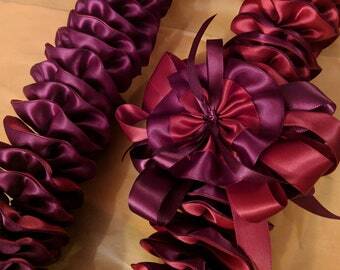 Length of lei is approximately 48", contact me if you are needing a longer length. Regular is with the ti leaf points approx every 4"
Deluxe is with the ti leaf points approx every 2"
Kahuna is with the ti leaf points approx every 1"